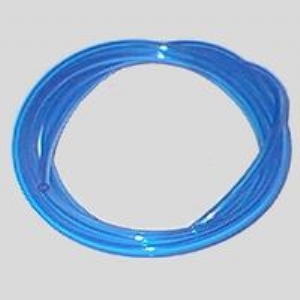 Polyurethane tubing, translucent blue in color. 1/4" ID. A superior, premium grade of urethane, the optimal material for ultralight fuel line.